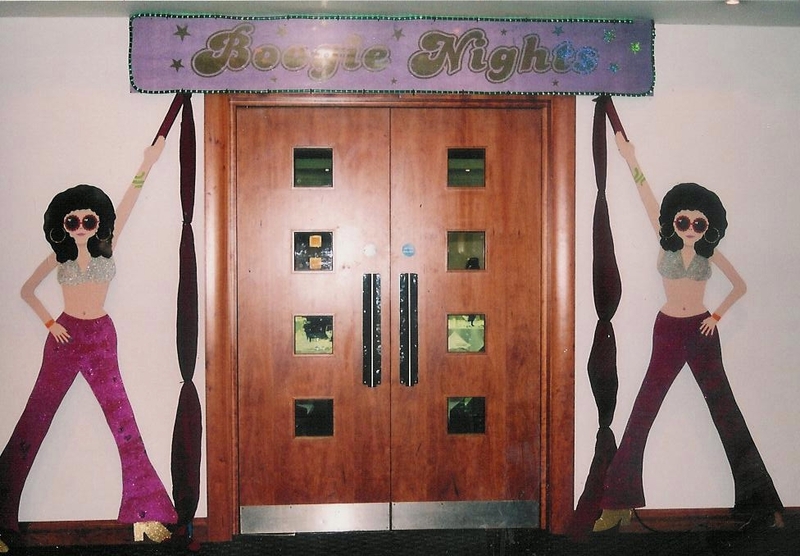 The entrance feature should have the title "Boogie Nights" in lights above a pair of John Travolta cut -outs with hands outstretched to 'hold up' the light sign. Inside reception is a homage to stars of the genre. Using chasing light edged cut-outs of the words "Disco", "ABBA", "Boogie", "Get Down","Move on up" and "Inferno". 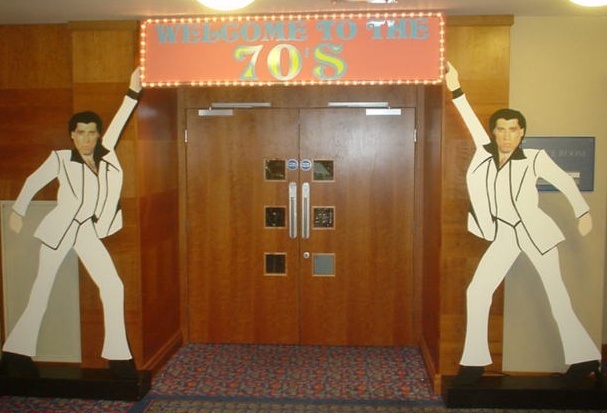 The first one should form a part of the entrance into dinner/disco and will have two disco divas hold this one up. 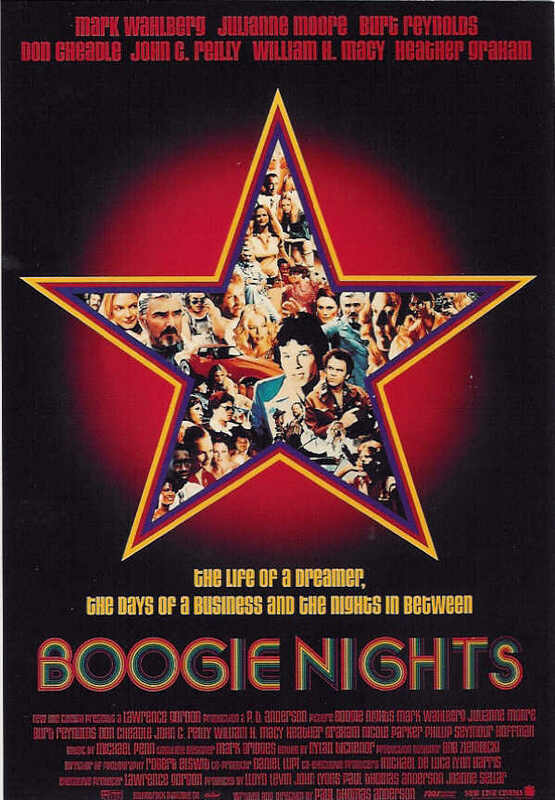 The stage backdrop is a 6m wide starcloth with "Boogie nights" appearing in lights at the appropriate moment. Around the room are some 2 giant 1.5m high glitter boots, with chasing light bootlaces, stood on plinths covered in sequined spandex material. The dance floor is surrounded by pink balustrading topped by 4 mannequins dressed as disco divas and lit by sweeping disco spotlights. 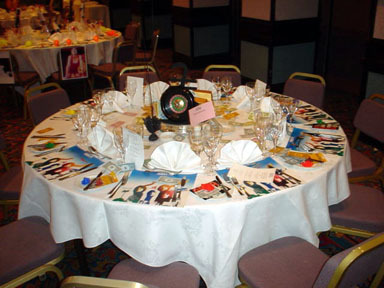 On each table guest find that their table represents a different song/band or diva and that the centrepiece is a reflection of that. On each place setting are giveaways to enable the guests to add their musical accompaniment to the sounds from the disco.